Reporting in the VI Service Desk - VIS, Inc. Generate virtually any type of report in a simple to use condition based interface. 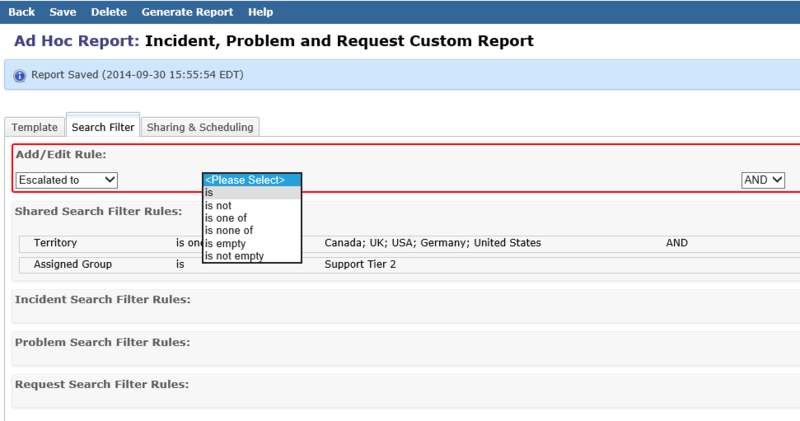 Select multiple ticket types as part of your reporting criteria. This can be useful for looking at the big picture. 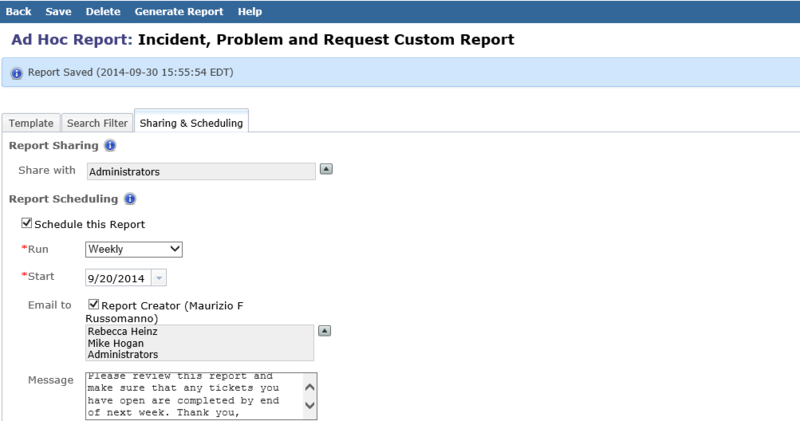 Choose which column information should be grouped and include your custom fields in the report. When selecting the 'Generate Excel Report' option an Excel file will be created containing your report data. 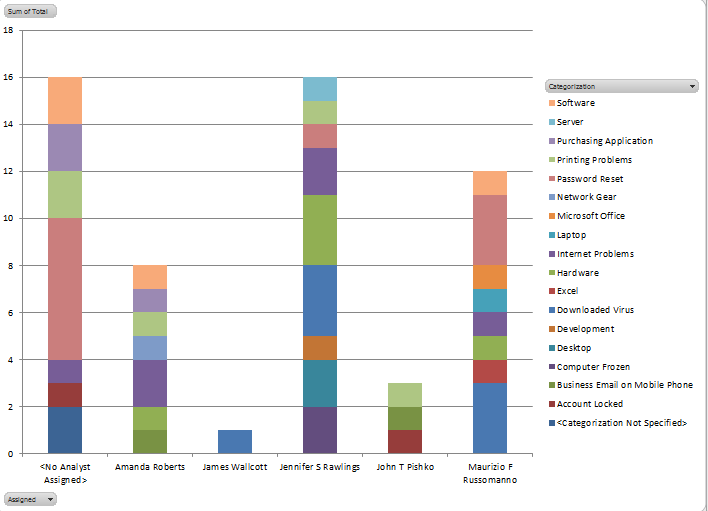 In addition, a pivot table and chart will be automatically generated based on the report data. Schedule reports to be automatically executed and delivered (daily, weekly, or monthly) to the specified individuals or groups of your choice. Excel reports will be attached to the email. View the performance of your SLAs. Track response time compliance with Incidents, approval metrics for Change Management, Request completion times, ticket loads, and much more. Ask us about our custom report services. We can build for you virtually any type of report. This includes web based dashboards for monitoring your organizations vital processes, charting that displays benchmarking and comparison of select data, adding additional criteria to the Ad Hoc reporting engine, and much more. Thank you! You will receive an email shortly with your 30 day trial.